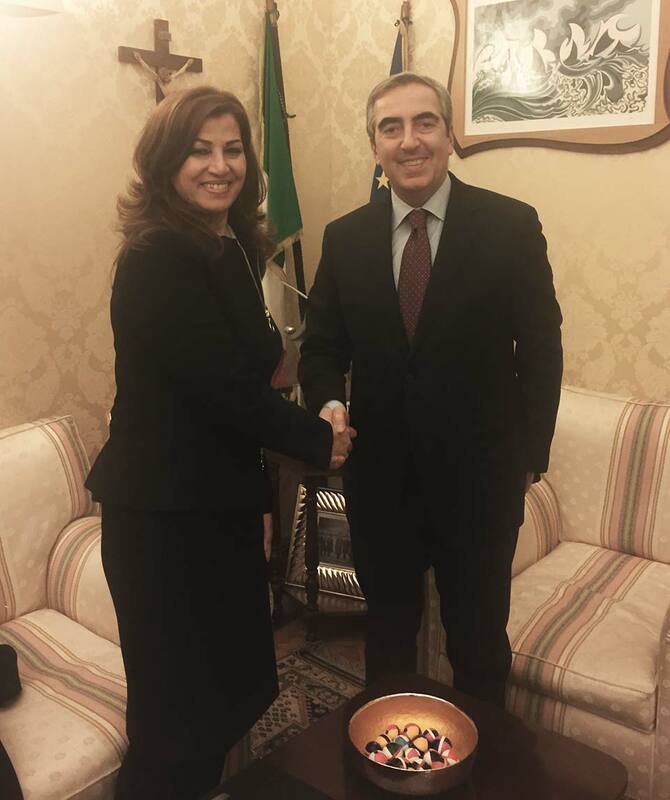 Today, Mrs. Kader met the Vice President Sen. Maurizio Gasparri at the Senate of the Republic. At the center of the talks the current situation in Iraq and in the Kurdistan Region, the economy and the political challenges, the war against Da’esh, issues with Baghdad and the recent developments in the disputed territories. Mrs. Kader, in thanking Italy for the support in terms of equipment and training, has emphasized the need to establish a constructive dialogue with the government of Baghdad highlighting the difficult situation of the almost two million refugees which are located in the Kurdistan Region. The Senator Gasparri, praising the role that the Kurdistan Regional Government has taken in the fight against Da'esh, underlining how the Region is an expression of peace, coexistence and stability, in a context of great uncertainty. Has ensured greater attention to the Kurdish people and to its needs, hoping that all the outstanding issues between Erbil and Baghdad will be solved through dialogue and understanding.